Rust-colored pillars eased through the thick, wet brush of the forest, his large nose held low to the ground below the fog, absorbing any sort of scent he could find. The rain had washed everything away, but one could never be too careful to continue scouting the lands. Once, he picked up the scent of blood in a muddy den that had not been fully flooded, but whoever had been in there had likely drowned, so he did not think much of it. He explored his newly-claimed lands in a grid-like pattern, marking every few miles, as he would have in the City. The German Shepherd was on the southern border of the lands, where green mountains began to roll in the sky, when he saw a pale canine on a crest before him. His ears pinned back and his tail raised, bolting from his place. Though he and the other dogs had only been in the area for a few mere hours, he would not let anyone in without the passage of him, Blue, or Kane, especially not a wolf. His muscular form tore through the fog, bounding with uncanny agility through the slick and mud, his sharp eyes focused on the white creature, now descending. He made a wild arc but did not stumble, watching as they headed into the trees; this land was much more of a sandbox than a grid, allowing him to cut the wolf off before he could go any further into the lands. "Halt!" he barked as he skidded in front of the canine's path, ivories revealed and tail raised. A few seconds later, however, these features disappeared as he realized that the creature was a dog; one of his own. He pulled his ears back and dipped his head. "I'm sorry if I frightened you," he said slowly, his vocals deep and rough, as if he had been eating gravel. "I thought you were a wolf. Wolves aren't allowed in my lands, but the gates are open to you. My name is Jack. Do you hail from the City as well, or somewhere else?" He sat back on his haunches, his mouth closed, but his chest heaving for breath. There was even a soft whistling nose to his exhales due to a collapsed nasal passage, though not visible to the naked eye. Jack relaxed, his muscles falling on his shoulders, trying not to appear so defensive anymore. Any dog wishing to escape their chains would be welcome. Long legs stretched out eating away the ground before them. She paused on a crest and would look out at the land before her. It had been scoured, cleaned by torrential rains and floods, the evidence of it lay everywhere. Her keen eyes would search as she would twitch her black nose catching any scent she could. This land was ripe…cleansed…it smelled fresh. She would flick her tail and move her body with its naturally springing gait down the side of the mountain. Her wavy cream and white coat would bounce lightly as she would turn her narrow black masked face with the white stripe into the wind. Everything smelled new. She flicked her tail and decided that she would take residence here. Her owner, a Russian pilot, had crashed their plane leagues from here. Nikita survived remarkably but her owner did not. She had pined for him a while. He was a good master, heavy handed when he was drunk but there were worse ones. She had finally left when the wolverine came and began devouring her master and her belly growled at the scent of his blood and she had left. To her, that seemed like eating a pack mate. Her body was built for speed and endurance. Bred over the generations for hunting and coursing. Her white coat with cream patches was silky and flat with slight waves running through it. And her face, long and narrow, with a slight Roman nose, but fine and feminine. Borzoi was her breed, she was grace and fluidity condensed. Her belly growled, voicing its hunger and she thought back. It hadn’t taken her long to catch her first prey on her travels here. An unlucky hare bolted and she chased as was her nature. She soon had caught it and dropped it dead upon the ground. She had been trained not to consume her prey but her belly demanded and against her better nature she sampled her wears…and it was good. She had broken her master’s law and received no reprimand. A new found freedom filled her veins and she would curve her fine lips into a smile. Her mind brought back to the present she would slink through the trees. An elegant ghost drifting as she would begin to seek a den…a cave…something to be called home. Her eyes flashed to the bru that jumped at her and the hair raised on the back of her neck, but she made no reaction move. She had seen larger, more ferocious breeds come for her hide. And Sephiroth seemed to be keeping him on an invisible leash. Blue listened to his words carefully before replying. "Personally, I hold nothing against wolves. But I do not make the law here. I only enforce it. As for these being your lands and your home, you know the phrase: Finders keepers. You abandoned these lands instead of surviving with it through the storm," she replied, remaining collected as he. "As for your friend here, we can't take him. Not just because of his blood, but because of his temper. That is evidence enough that he would be dangerous." Blue was going to speak further, when two mutts approached, one of them speaking out. And then the moment he was done speaking, one from the other side came in. She arched a brow at him. "You think we're trying to avoid the wild?" she scoffed. What was it with everyone out here and their assumptions? She had never said anything of the like, and they were speaking for her. "Hardly. If you knew anything about where we hail from, you would tuck your tail and run the moment you set foot on concrete. But I will say - you're right about the challenges. Some of us prefer to live on the wild side." She ended her word with a wry smile, one that told more than just mischief. Her seriousness, however, returned when she faced Sephiroth again. "Now, back to what I was saying. You and your friend cannot stay in the lands themselves, but you may linger on the border. Jack is making his rounds. Avoid him," she replied, knowing that she could get in trouble for not shooing them away completely, but this had been their home. She had caught the words Sephiroth had said about a fem named Kaia, apparently the former Alphess... that was no more, and did not want more. "As for any of your pack members, I do not know where they went. The rain has washed away all scents." Oh... oh my. A low chuckle came from Tynan's throat, slowly growing into a full laugh. Now this was too good. It had been a while since he had traversed the lands of Fire and Ice. When last he had been here, it had been as a member of Muerta, Lead Guardian to Akira's pack. The rank had been an honor for a while, but all too soon his wandering nature got the better of him. It was for the best, anyway. He had no place there, amongst that pack. He knew that now. The thing he didn't know was where he wanted to go next. So he had left the lands altogether, heading even further from the city that was his homeland. He had seen much, but now was back, for no place had struck him like this right here. These lands were never dull. Besides, he enjoyed the company of his wilder cousins. While some of them made the city dogs he had run with seem sane, most were relatively decent and very trustworthy. Well, most outside of Akira's brood. Those Midnights... they didn't sit well with Tynan. He liked to be able to trust those he ran with, and it was a major reason for his leaving that he had no longer felt that way. Now, however, he gazed with outright amusement at the realization that hit him. Hamara was no more.... and it had become and all dog pack? Were they nuts? Grinning, Tynan sat down. They wouldn't last five minutes, especially at their current numbers. They would be eaten alive. These dogs might think they could handle it, and perhaps a normal wolf they could, but Tynan had seen what some around these parts could do. He had heard the stories, and seen the evidence, and this was just too funny. Speak of the devil.... he knew that scent. So there were wolves here. Yet their mark was no longer on these lands, so why? And it was Sephiroth. Tynan had never met the bru face to face, but his was a name that had been spoken. The dog came upon the group silently, standing back and watching as they conversed. The wolves were actually trying to reason with these dogs? Instantly Tynan wondered their angle, but pushed it from his mind. It wasn't his problem. He was just here to see what was going on, and what these dogs were thinking. Two more dogs joined in, and at the male's words, Tynan laughed. He couldn't help it. "You hold them at a lower standard? Well isn't this mixed up. " He looked at the wolves. "Sorry, I'm just wondering why you two are bothering. Obviously these dogs aren't aware that they happen to have chosen a territory surrounded by the very things they are trying to avoid. Perhaps they should have stayed in the city, because out here, there will always be challengers." He looked at Blue. "What I wonder is if they are ready for such a thing." His tone wasn't hostile, but held a slight note of derision. If they wanted to be left alone, they were going to have to fight for it, and win. He knew for a fact that if they didn't, the surrounding packs would begin to close in. And some part of him liked the idea of dogs proving themselves worthy. He had nothing against calling wolves equals so long as they called him the same. That was one thing that he had held with Akira, and it was nice. They both were mutts. No pure single blood line in them but they were good at being those mutts. to try and scent her out, or just eating berries where she found them. When coming upon meeting Riley she instantly felt safer. Sephiroth let his eyes turn slowly and land on the dog. "Interesting..." he said softly and stood up. "Not welcome, in his own lands, how dare you!" Prestige leapt forward only to have his forward action stopped by Sephiroth. "Enough! These aren't my lands fool, they were Kaia's. Were. She's obviously not claiming any victory here any longer. I don't know how many times I said I wasn't alpha here." He shook his head sitting back down and looking to the fem. "Pardon his rudeness, he's a different breed of wolf. These lands are... were? my home. I'm not sure if I could know anywhere else, but I know Prestige would make a great asset to your pack. Working with a wolf... I don't know why you see us so different. While you were once bound you are free, like the rest of us. If anyone sees it different it is those other packs. Muerta holds some dogs, and they are treated like scum, I hate it. I don't see what breed has to do with honor. Just because a wolf is bigger, doesn't mean their always meaner, smarter... I mean, no other wolf came to take these lands, you guys did." Sephiroth smiled to the fem and let his tail come round and wrap around his base. "Prestige, sit" he watched from the corner of his eye as the bru did as he was told. There was no wind at this hour, but there was fog clustering about the land, enrichening the surrounding scents. Blue slinked about, catching whiffs of returning animals, a sign that there would be good hunting. An echo of a loud sneeze carried on the empty lands and she raised her head, ebony auds twisted forward. So, someone was already here. She moved swiftly to the source, her nose now picking up the scent of wolves. How wonderful, trouble was already being started. She came upon two males, one of them eerily still and the other not quite. "I'll give you a warning, boys," she said, black plume swishing behind her. "Wolven kind are not welcome in here. I suggest you leave." She was calm and composed, her cerulean eyes glowing in the mists. If they complied, there would be no reason for a fight to happen so early in the territory establishment. If not, well... Maybe there was another reason they were. She didn't know what, but whatever it was, Jack wouldn't likely agree to it. He would rather tear them apart first. The first thing he noticed about this land was how... soft, it was. It silenced his large paws as he weaved his ways through the pine trees, he and his two companions coming upon a crest that overlooked the terrace, now the victim of total destruction. Muddy rivers raced between fallen trees, landslides collapsed downhill, and the thick scent of rain still clung to the air. The sun had yet to shine, a fog descending on the greenery, as if to cloak the horror that had just happened. Thunder rumbled like an angry drum, but had been pushed by the western winds to the east, where they were now climbing over the mountains and terrifying whatever lie beyond them. Some would have said that the land was in complete ruin and was unfit to live, but this was a trio that had survived the worst of conditions. They had seen blood and war and crime and punishment. This? This land was nothing compared to the concrete streets and steel skyscrapers whence they came. 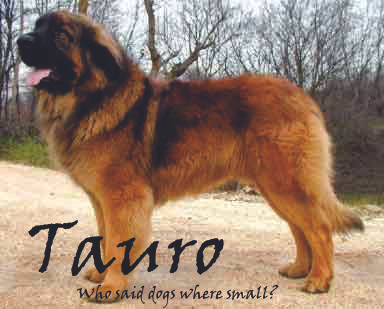 The large, burly German Shepherd was the first to descend, his bounds long and powerful to reach the bottom of the hillside. The pines became thicker and taller, moss growing on their northern sides, their branches lying in a fallen manner around him. Though he knew the lands were abandoned, he glanced around, beetle-black eyes darting in all directions. One could never know when he was being watched. Seeing that no one was around, he lifted his leg and urinated on the tree, marking it as his. 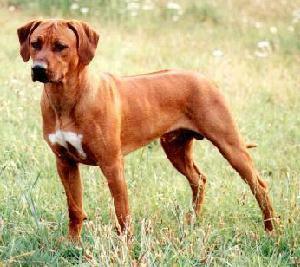 He looked over his shoulder at his two companions - a black German Shepherd and a Rhodesian Ridgeback, the three of them coming from similiar origins. "These lands are mine, now," he said, his vocals deep and rough, like a hardened soldier's should be. He swiftly turned his head and continued onward, purging the decimated territory for a place to call a headquarters. He passed up a swamped meadow filled with stumps, a cluster of important-looking boulders, and even a cave in the hillsides. Walking along, he suddenly stopped short, his paws meeting a sharp ledge. Upon looking down, he found a steep cliff, one whose fall was sure to have killed him had he taken another step. To the far east, he heard the rushing of water, and following it, they came upon a waterfall. Hundreds of logs were jammed up at the bottom of it, making a small pool and only allowing streams of water to slip through, a dam of sorts. The black German Shepherd stepped forward, observing the site. "Trees must have fallen upriver," she said, indicating at their broken bases and split trunks. The male canine leapt down onto one of the logs closest to him; it creaked beneath his weight, but did not give in. He walked back and forth across it, the opaque water rushing at his side. "It's sturdy," he observed, jumping down onto more logs. Once again, they did not budge, even with the massive force of the river pushing against them. They would be there for quite some time, that was for sure. "It's like a junkyard build-up. Get enough of it, and it'll stay." The black female followed in his steps. "Sounds good enough for us. Better than an open area, too," she said, her blue optics seeming to glow through the haze. "We're lucky that we found a place that was completely cleared. So what do we do now, Jack?" Jack rolled his muscle over his shoulders, a habit. "Well, let's just evaluate what we know: We know that dogs escape the City, and some return, and some don't. And with the rumor of wolves... Heh, we can say that they've either assimilated into their pack or have been eaten by them. I'm hoping for the former. I'll leave you and Kane to scout. I have to finish marking the lands, if this damn rain ever stops." The mottled brute made his way down the rest of the log jam, disappearing into the mists to carry out his territorial duties. Blue cast her eyes at Kane, nodding in silence. She hadn't gotten to know him much, but Jack trusted him, and that was all that really mattered. They had their duties now. Like Jack, she descended the log jam, but took off in an opposite direction. She knew what Jack was looking for. She knew why he had wanted the land clear. And she knew what sort of plans he had in mind, and she knew that he would carry them out. He was to form a pack of dogs, as if they were in the City... but they were not in the City. And this pack would be a bloodthirsty one, one meshed together of dogs and only dogs. Jack would never make an exception for any wolf. No one threw up a call. No one even knew that they were even here, in the lands of Fire and Ice. Some would think that they were travelers, but no. The wolves would think their blood was impure, mixed and tainted, and call them wretches of the race. This was not true. They were bred for their exquisite talents, their sharp minds, and their bold determinations. If anything, they were kings. Kings. And they had escaped their urban chains of a cage... mutts on the loose, feral as any wild animal and tenacious as a junkyard dog. They had come to claim what was theirs all along. It was all about being top dog. About being the victor, the kingpin, the one no one messed with on the concrete streets. What was your territory was yours, a defined line that ran alongside street signs and chain link fences, marked by park benches and Chinese restaurants. There was a law of unrest in the City; dog-eat-dog, per say. Whether you were with a pack or not, there would always be someone with their eyes on you. Be it the common looks of disgust from humans, revolted at the sight of a stray dog, or the fierce snarl of hatred from , a rival pack, ready to kill you the moment you set foot on their turf. To say that the City life was civilized was an understatement; it was under siege of constant war, manufactured by the wretches that made the steel skyscrapers and the meat on your plate. The kings made their pretty words and promised even prettier things, but life remained just as ugly, if not uglier, than before. And the worst part? There was no way out. No mobility. No ranks. But oh, could you feel the power, as if an iron fist were keeping you down, preventing you from achieving any sort of happiness or easy way of life. You fought against it, trying to make your own family or pack, only to have it ripped apart or torn away from you in the end. You hunted when you could. You slept when you had to. No one but you knows of your troubles, because no one else really gives a damn. All of your life, you have been stuck in this tiny place, an urban sprawl of a cage. You know the sewer routes by heart and where to shelter during the storms. You know how to separate the scents, from the fast food tossed into the dumpster, from the rancid sewer stink, and from the choking, hazy air clouded with poisonous fumes. Somehow, despite the oppressive atmosphere, you have made a life here. You wonder if you will ever leave. No one says that you have to, but will you? The City is guarded by a concrete wall that reaches the sky, but there is rumor that some dogs know a way through... Know a way to the outside, the wilderness where wild things roam. Words on the street are exchanged about lions and wolves and bears and all sorts of other creatures. Humans are seldom in this outside world, and some not always return, having being captured by these monsters of the wild. Some ancient part of you craves this adventure, as if a past life is seeking to go home. Perhaps this metropolis is not the place for you, afterall. You ask the mutts that pass on the word among the streets about these dogs that know the way out. They do not know the names of such leaders, but they point you in the general direction of their place of meeting, showing up at an approximated time once per week. You go, patiently standing by, catching fat, black rats in the meantime to fill your caving belly. Just when you are about to give up and call it quits, a skinny terrier shows up; it makes sense now, why a terrier. Terriers were bred to seek, crawl into the small holes of the earth, and find the places that others could not reach. With a silent understanding he takes you to the very edge of the City, past the trashed-up ghetto filled with human gunshots and beyond the too-pristine downtown shopping center. Eyes lurk at you behind trash cans - rival packs - but they see you with the terrier, and allow you to pass. Were the terrier to leave you, you would have nothing to defend yourself but your own teeth and claws. You reach the Wall. It goes up higher than anything you have ever seen, and you don't know how to get in, but you continue to follow the terrier. He points you a small hole, the kind that only a lean dog or a human child could fit into, ushering you inside. You peer in to see that it is pitch black; you cannot see the light at the end of the tunnel. The terrier now leaves, his duty finished. Dare you go down the rabbit's hole into a world that is backwards and ever-so-different from the one you've come to know? Because who knows what is on the other side.